Ever since the first screenshots of Age of Empires: Definitive Edition have been released into the wild, one of the most frequently asked questions has been: “Is this a 2D game or a 3D game?”. 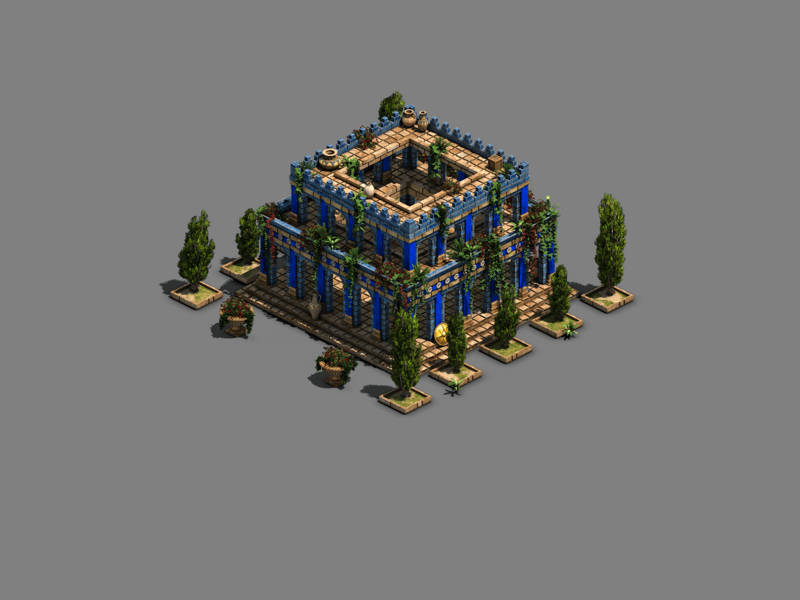 Our art team took the question as a compliment, as the game is in fact 2D, just like the original Age of Empires. Let’s take a closer look. Wait, this game looks 3D? It certainly does look 3D! 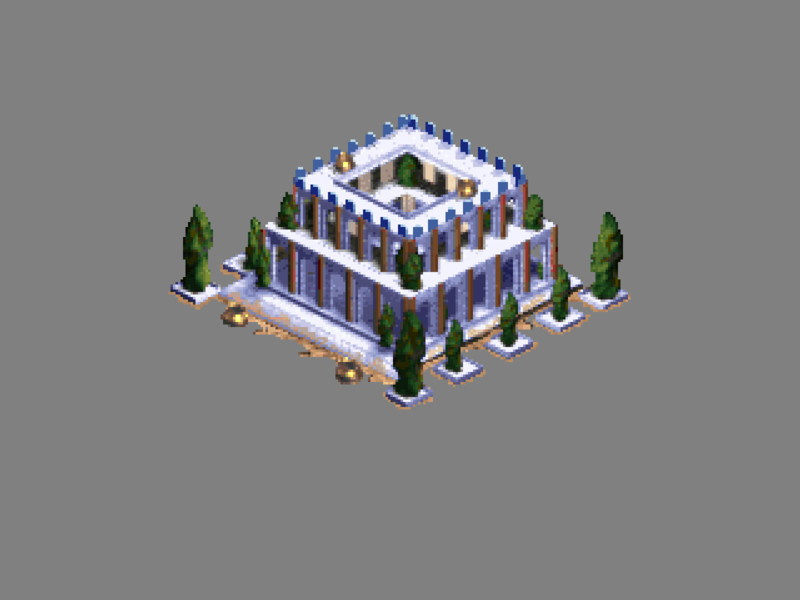 In our work to bring Age of Empires to modern devices, we used the same 2 dimensional isometric engine that is so recognisable from the original Age of Empires and Age of Empires II games. When we started development on Age of Empires: Definitive Edition, we started building further on this original engine as well. Modern tricks on top of the recognizable 2D engine results in a 3D look, but it’s still 2D at heart. What’s happening is that we’re creating all our units, buildings and trees as 3D models, but then render them out as 2D images. This means that what you see in the game is what you get. What is behind a building doesn’t exist, because it is not rendered out 🙂 But the units can certainly rotate for you. And even more than originally! Where the original units would only turn in 8 directions, units now try to path their way through the game showcasing 32 directions. Which certainly does a lot in making the game feel 3D, while still staying 2D! This doesn’t mean however that the game does not use 3D effects at all. While being 2D at heart, graphics have come a long way since 1997 and 3D effects have found their way into 2D games. 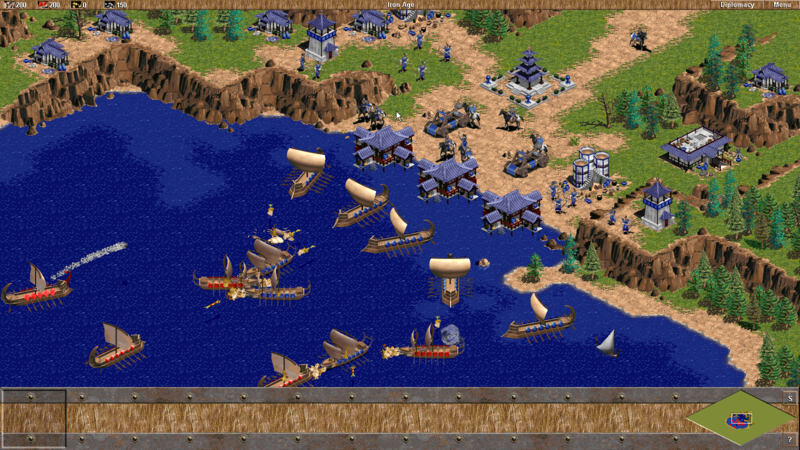 The water effect in Age of Empires: Definitive Edition is the best example of this. Instead of the original white pixels that would occasionally sparkle, we now have crashing waves, boat reflections and schools of fish gently wandering about, oblivious to the carnage that’s unfolding above them. Another great feature of Age of Empires: Definitive Edition is the fact that you can zoom in and out of the game. Now, how is that possible on 2D assets without exploding into a pixel storm? By adding “Zoom Levels“. Basically, every asset in the game has been rendered 3 times. This way, the game can be displayed crisp and clear in every supported resolution. From HD all the way up to 4K (and beyond)! Click on the image to see it in crisp 4K quality! On top of that, buildings now have beautiful destruction animations. All rendered out in 60FPS to give you the feeling that you’re truly sacking Rome. This also explains why the game is such an incredibly large download (17GB!) compared to the original (300MB). 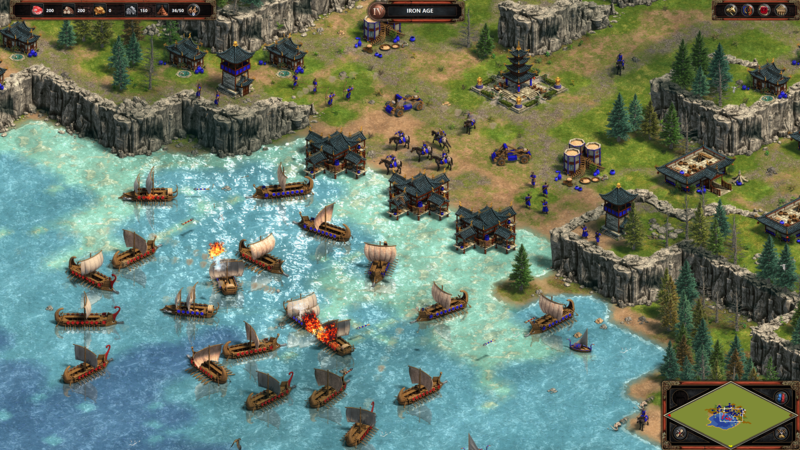 With all graphical novelties combined, the new upgraded Trireme graphics are as big as the complete original game. But hey, now we go in 32 directions, we can zoom in from HD to 4K and beyond, we have sails that play nicely in the wind and the crew can gaze at themselves in the reflections on the water. 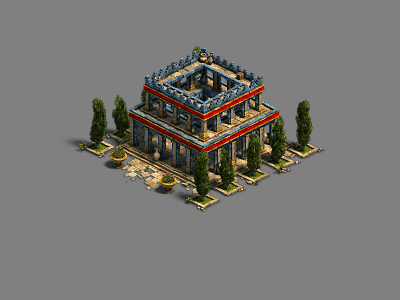 We hope you’ll enjoy the new look in Age of Empires: Definitive Edition!